Sintra, just 27km outside the Portuguese capital, was a site for Roman worshippers before it became a holiday destination for Moors, then Portuguese royals. Its appeal over the centuries to leisure-loving royalty has resulted in more castles than you can poke a stick at, in a pastiche of architectural styles. These days, it’s frequented by day trippers from Lisbon rather than royals, eager to take in the fairytale like landscape and explore the palaces. Perhaps the fairest of them all, Pena Palace looms atop Monte da Pena – on a clear day, you can see its colourful turrets as far as Lisbon. A mishmash of styles, this eclectic royal summer palace is equipped with all the standard fairytale features: a drawbridge, towering turrets, ramparts, gargoyles, and a balcony perfectly positioned for star-gazing princes or damsels in distress. 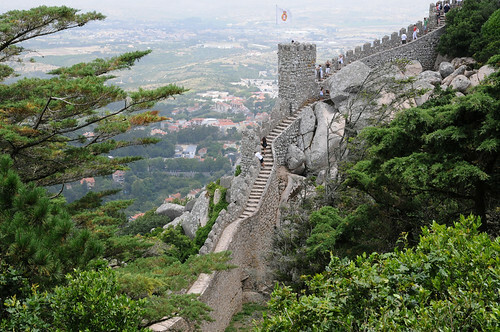 Also worthy of a visit is the 8th century Moorish Castle – its moss-covered ruins snake along the granite hills overlooking the region, and in parts look about to be swallowed up by Serra de Sintra’s lush forests. Climbing the ramparts will reveal astonishing views – and some of the still-standing turrets are drastically high up. 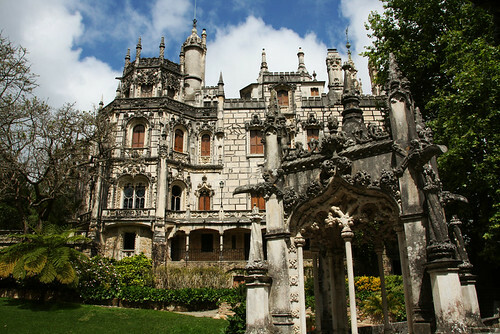 Don’t miss Regaleira Estate, a 19th century gothic, Manueline and Renaissance style mansion. It’s the gardens of this elaborate estate that are really worth losing yourself in – literally, that is: an intricate network of grottoes slither beneath the earth, through narrow tunnels and over subterranean ponds. The garden is full of mythological symbols and an impossible-looking staircase leading to heaven, or so the story goes. If you’re hungry after all that gallivanting (as royals are wont to do) – you’re in for a real treat. Sintra claims to be the birthplace of Queijadas – deliciously sweet pastries that simply cannot be enjoyed in quantities fewer than three (or four...) – luckily, Queijadas da Sapa Bakery serves them in boxes of six. 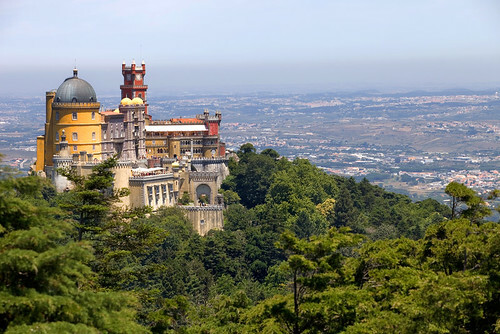 Visit Sintra on a day trip from Lisbon, this week’s Deal of the Week, with 2 5* nights from £195.